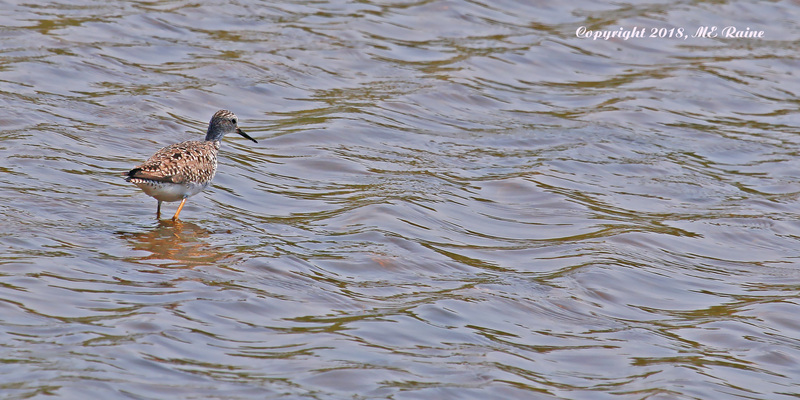 Thanks to Mickey Raine for more photos from the Bergen Audubon’s Harrier Meadow walk this past Tuesday. 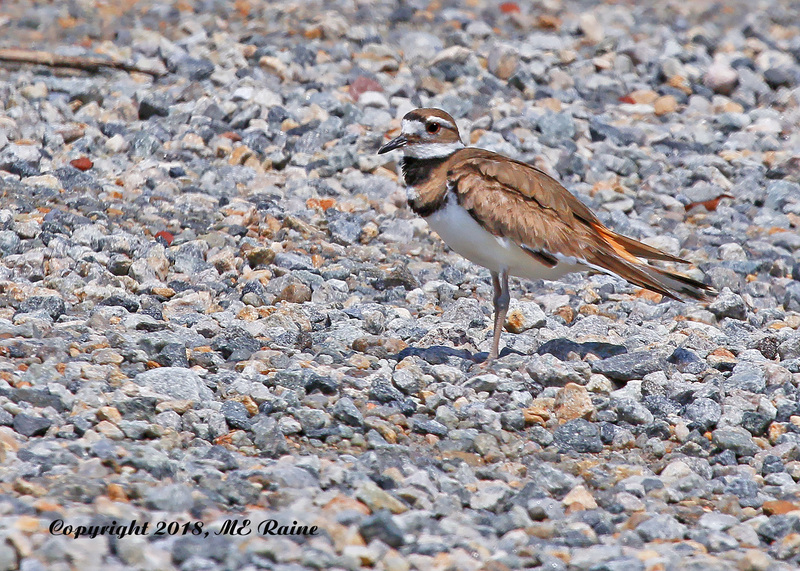 Our first batch from Mickey focused on birds in flight. Now we’ve got some great ground photos. 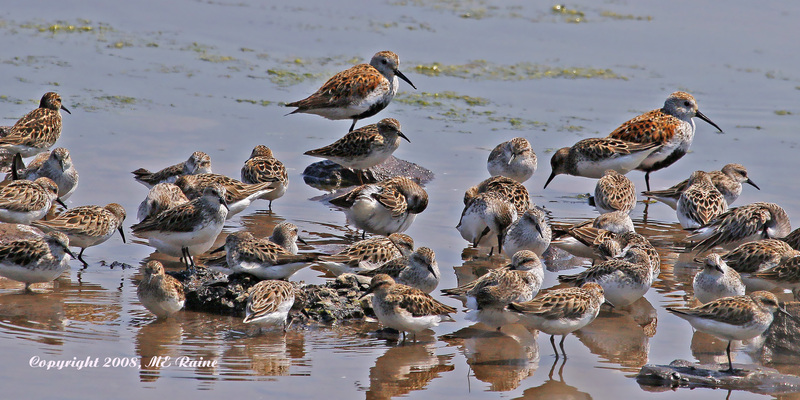 Check out the Dunlins above hanging with a group of Least Sandpipers. They’re the two large reddish ones in the back with the black bellies. 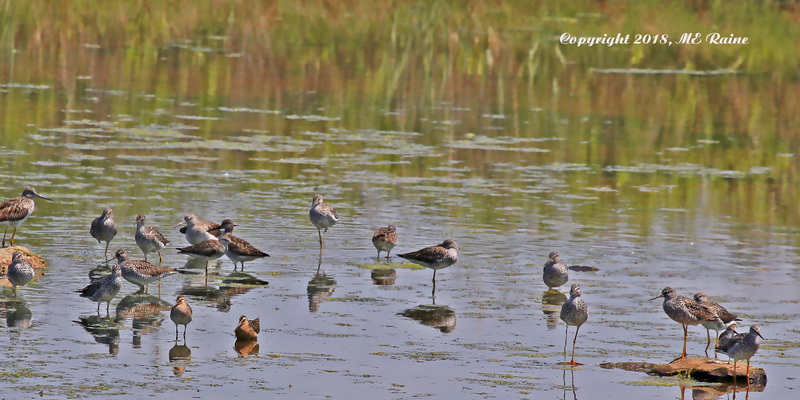 The two Long-billed Dowitchers below are on the front–left end –with a more reddish tone, with one standing and the other sitting down in the water. 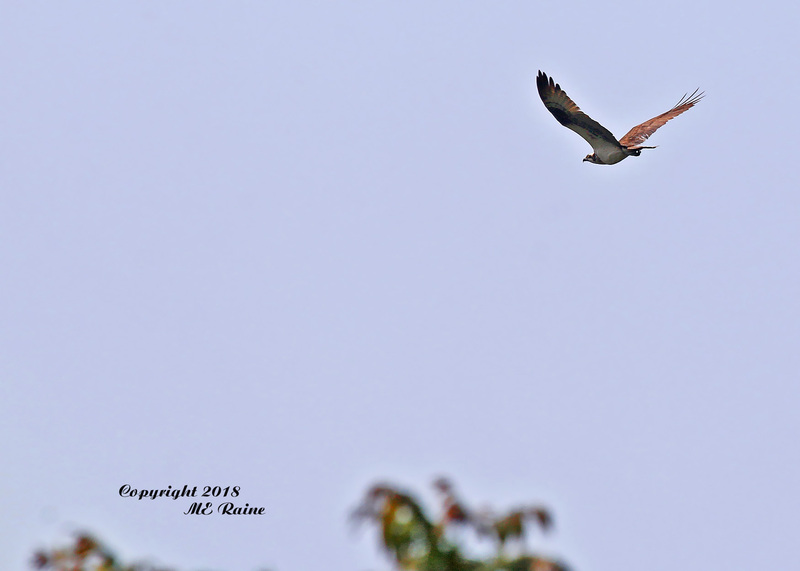 Mickey Raine sent these photos taken during Tuesday’s Bergen County Audubon Harrier Meadow walk, along with some interesting background information detailing the circumstances behind the shots. Many thanks Mickey! The Osprey way high up in the sky was spotted as soon as I got there, flying overhead and then once more later, but even farther up the second time. 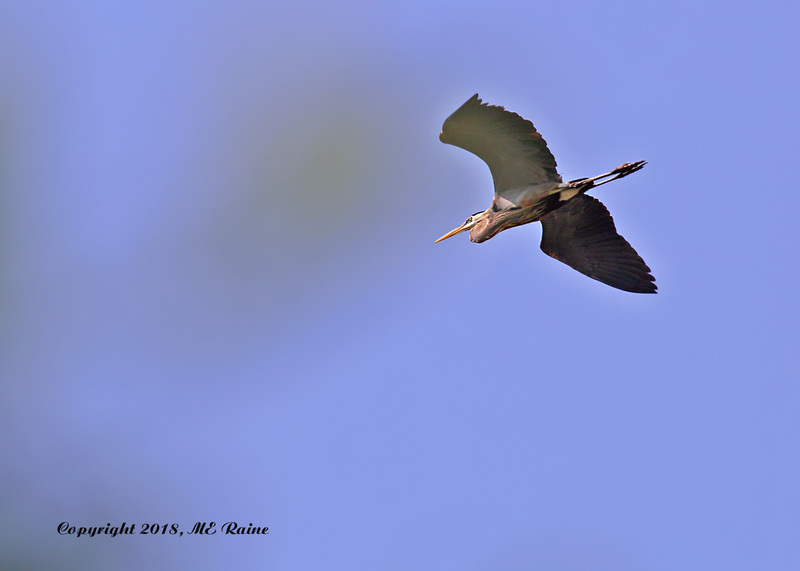 Less than 30 seconds after seeing the Osprey, the Great Blue Heron flew overhead. You can see the fade-away of the nearby tree that almost obstructed the full view. 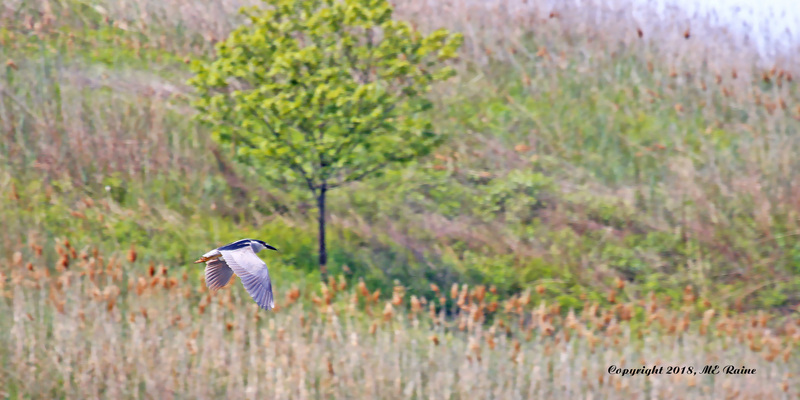 The Black-Crowned Night Heron had suddenly flew up from where it must have been resting down along the embankment, spooked by the movement and sounds of the visitors walking along the path. 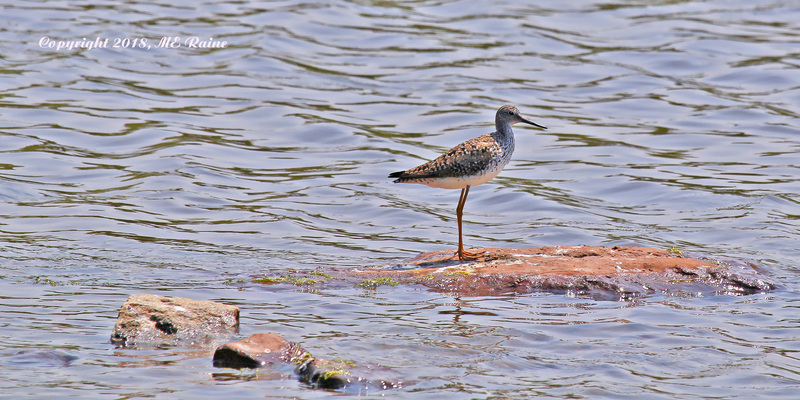 By the time I was able to lock in, it was already far across the water and near the southern landscape. 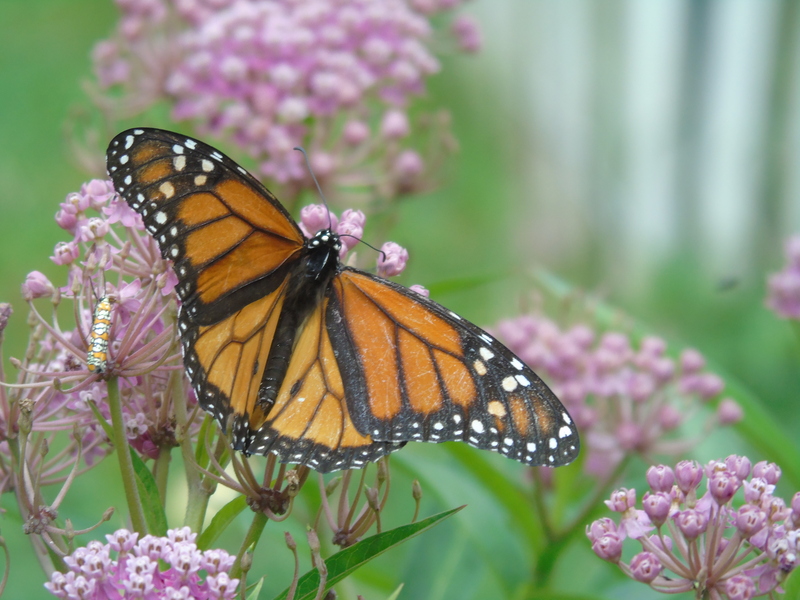 Don Torino’s Life in the Meadowlands: The Monarch Butterfly Still Needs Our Help! Sometimes important environmental issues seem to go by the wayside, usually because there are just so many critical problems we need to deal with on a daily basis. But some very important ones get forgotten and set aside for another day or time. We do what we think we can and then move on to the next issue and concern, not looking back and hoping that our mission is complete. But the Monarch butterfly, strong, undaunted and fearless, is still extremely vulnerable and on the brink of being lost forever.